Bill Port was born in Chicago, grew up in the Village of South Suburban Dolton, and presently resides in Northwest Indiana. Bill has been a full-time Realtor® since 1994 and holds Managing Broker Licenses in both Illinois and Indiana. Since joining RE/MAX in 2001, Bill Port has been affiliated with Indiana Remax offices in Munster, Highland, Hammond and Schererville. He presently he works at RE/MAX Realty Associates in Munster, IN. Bill and his wife, Rachel Peers-Port, lead the #1 Top Producing Remax Sales Team in Northwest Indiana. While most of Bill’s real estate business is located in Northwest Indiana, Bill still sells a lot of homes in Chicago and the surrounding Chicago Suburbs. Bill believes in sharing his knowledge with others and is known for his ability to simplify the most difficult transactions. With Bill’s calm and assuring approach, he has become a master at guiding his clients through high pressure situations. Port has developed strategic marketing systems to maximize his listing sales prices and assure smooth real estate transactions. Early in his career, Port learned to identify offers with financing issues. To this day he insists on reviewing a buyers financing before allowing his clients to respond to offers. His clients appreciate the protection they receive from Bill’s attention to detail. Bill is a problem solver, he is a skilled negotiator, and he believes that the fastest way to closing a sale is to prevent transactions from falling apart. Bill holds degrees in Construction Management and Business. Prior to selling Real Estate, Bill spent over ten years in the construction industry, eight of which were in the ownership of a Carpentry Remodeling Company on the North side of Chicago. Port has personally owned, rented, renovated and sold over 25 properties. Bill’s knowledge of construction gives his clients a competitive edge. Bill has prevented clients from buying poor quality homes and he has saved his sellers thousands of dollars when home inspection issues arise. In his free time, you’ll often still find Bill with tools in his hands. In his 25-year career, Bill Port has authored articles, produced marketing videos, trained agents, and led seminars. He is best known locally for the videos he produces for social media. In doing so, he has developed superior knowledge of video marketing and website SEO (Search Engine Optimization). Be sure to watch his Marketing and Educational videos. Port's clients appreciate the excellent care they receive, which is why so much of his business comes from the recommendations of his past clients. When you are looking for the best Realtor to help you to buy or sell real estate, give him a call at 219-613-7527. Bill Port has served the local GNIAR Association of Realtors and negotiated at the State IAR Association of Realtors as well. Port served as a Director for the Greater Northwest Indiana Association of Realtors from 2011 to 2015. While an Association Director he was Chairman of the Mission Committee as well as the Website Advertising Committee. He has been a member of the Government Affairs Committee and he Graduated the Indiana Association of Realtor’s Leadership Academy, IRLA, in 2013. In America, the voice for property owner rights is the Realtor® Associations. Property owners benefit from the efforts Realtors provide in influencing law makers on Property Tax issues, Income Tax Laws as well as other laws regarding homeowner rights and rental restrictions. Bill is in continual communication with local and State lawmakers regarding issues that affect property owner issues. Member, Greater Northwest Indiana Association of Realtors® Government Affairs Committee 2011 – 2016. If you are looking for a Realtor to be on your side, give Bill Port a call. Bill, along with his wife Rachel Port operate the top producing RE/MAX sales team in Northwest Indiana. The Port Team operates from their office, RE/MAX Realty Associates, located in the NWI Town of Munster. Their team of four real estate brokers, are all licensed in both Indiana and Illinois. Bill specializes in selling homes in the Indiana towns of Munster, Dyer, Schererville, Saint John, Highland, Hammond, Griffith, Merrillville, Crown Point, Cedar Lake and Lowell. 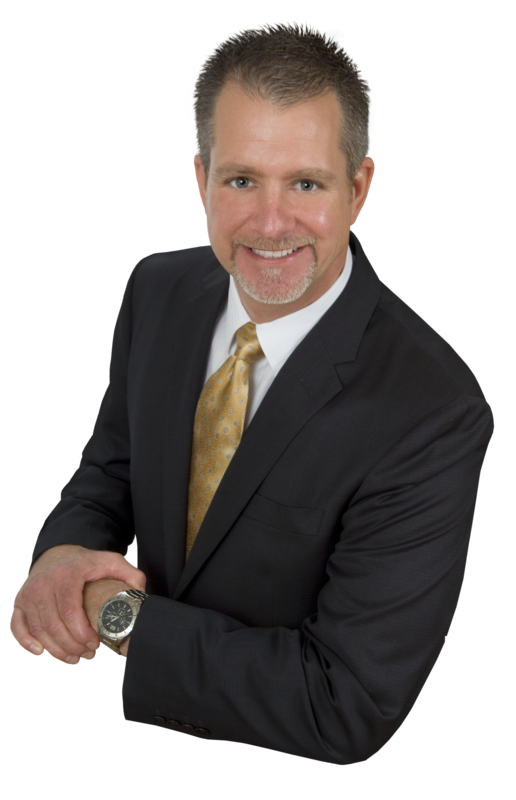 He also personally specializes in selling homes in the Illinois cities of Lansing, Beecher, Crete, South Holland, Calumet City, Steger, Flossmoor and Homewood. In addition to serving all of Lake and Porter Counties in Indiana, Port’s team sell homes as in all of Chicagoland as well. The Port’s prides themselves on having a team that works hard to keep clients happy. For this reason, Bill & Rachel employ a full-time staff at RE/MAX to assure their clients a smooth real estate buying and selling experience. Being licensed in both Indiana and Illinois gives Bill a competitive edge. Real estate customs differ dramatically between States. In Illinois, final contract negotiation and the closing of real estate transactions is often handled by Attorneys. Bill and his team are experienced at cohesively working with Illinois lenders, attorneys and title companies. This is especially beneficial when timing a move from one State to another State. In Indiana, attorneys are seldom used, and contract issues can be overlooked. The Port team carefully reviews offers and contract to assure the forms are completed correctly. Selling? Call Bill for a Free Home Market Evaluation! Buying? Call Bill to get qualified to buy your next home! Griffith, Hammond, Hessville, Demotte, Hobart, Hebron, Lakes of the Four Seasons, Merrillville, Whiting, and Valparaiso. We are now at work putting together search pages for many of the popular subdivisions we serve in Dyer, Munster, Schererville and Saint John. Currently we are adding many community real estate search pages to the Illinois Chicagoland communities we serve as well. Click the links below to view homes for sale in Chicago, Beecher, Crete, Calumet City, Chicago Heights, Dolton, Glenwood, Lansing, Lynwood, Park Forest, Riverdale, Homewood, Flossmoor, Tinley Park, and Orland Park, Illinois.